VW has prepared a full re-design of its famous crossover, the all new Touareg for 2018. The new flagship aims to take a top position in the premium class SUV segment with its design, its innovative operating, convenience and safety systems, as well as in the high quality of its materials and craftsmanship. 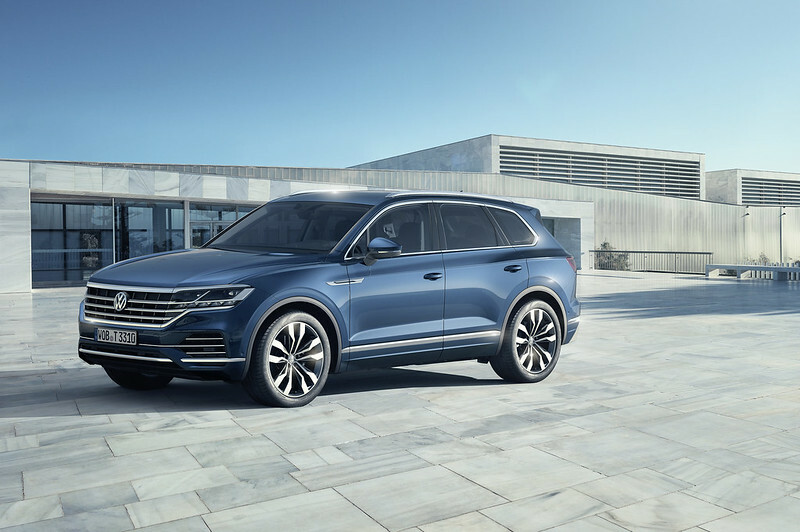 Equipped with the connectivity of a new era and a pioneering fusion of assistance, comfort, lighting and infotainment systems, the Touareg points the way to the future at VW. Worldwide sales of the previous two generations amount to nearly one million units. 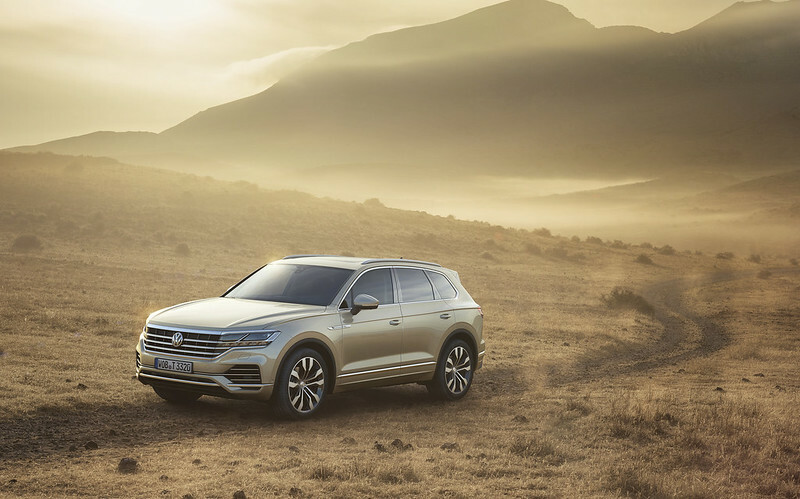 The Touareg aimed with comfort and dynamic driving in mind has, as the most technically advanced Volkswagen of its era, the potential to enthuse technology and design savvy drivers of premium class models of all sorts, reaching new target groups as well. Volkswagen is presenting the fully digitalized Innovision Cockpit for the first time in the new 2018 Touareg. Here the digital instruments (Digital Cockpit with 12-inch display) and the top Discover Premium infotainment system (with 15-inch display) merge to form a digital operating, information, communication and entertainment unit that hardly needs any conventional buttons or switches. Always-on, offering intuitive control and maximum personalization – with the Innovision Cockpit, the Touareg provides the blueprint for tomorrow’s digital interior today. Drivers use the Innovision Cockpit to adapt the assistance, handling and comfort systems specifically to their personal tastes; the car becomes ‘their’ Touareg. This opens up a world in which the driver and on-board guests no longer have to adapt to the car; rather the car adapts to them. Like a new smart phone, the Volkswagen is set up and tuned to personal needs. This is made possible by a new high level of connected systems and programmes – controlled via digital interfaces and the multifunction steering wheel. Fusion of new assistance, handling and comfort systems. 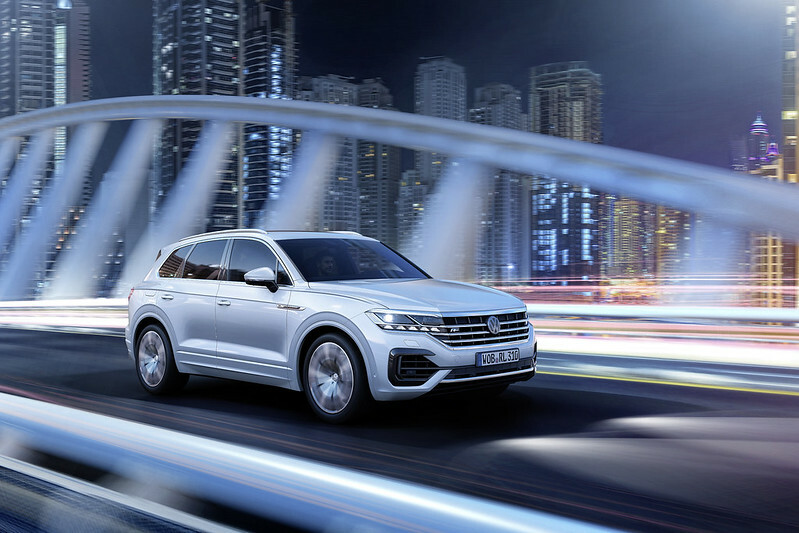 The Touareg is launching with the largest range of assistance, handling and comfort systems ever to be integrated into a Volkswagen. 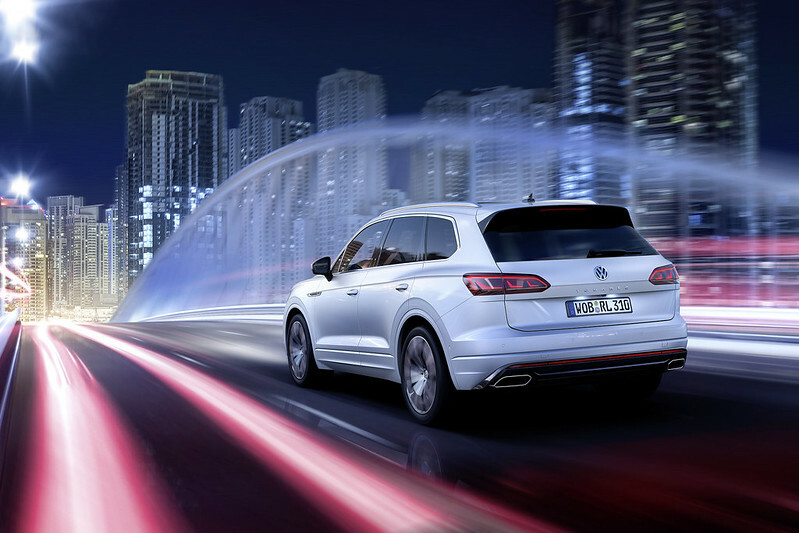 They include technologies such as the Night Vision assistance system (detects people and animals in darkness via a thermal imaging camera), Roadwork Lane Assist (semi-automated steering and lane keeping, accelerating and braking up to 60 km/h), Front Cross Traffic Assist (reacts to cross traffic in front of the Touareg), active all-wheel steering (makes the Touareg handle like a compact car), new roll stabilisation with electromechanically controlled anti-roll bars, ‘IQ.Light – LED matrix headlights’ (interactive, camera-based dipped and main beam headlight control) and a ‘Windshield Head-up Display’ projected directly onto the windscreen. The driver experiences these systems as a single unit in the new Touareg. They are simply there – interconnected via a new central control unit – working continuously in the background and making travel safer, more convenient and more intuitive than ever. New dimensions and reduced weight. Compared to its predecessor, the third generation Touareg is moderately wider and longer. The new dimensions have positive effects on both the vehicle’s proportions and its amount of interior space. The added exterior length leads, for example, to a significant increase in luggage capacity, from 697 to 810 litres (with rear bench seat up). Cargo there is hidden from onlookers by an optional electrically extending and retracting luggage compartment cover. Despite its increased length and width, the car body is 106 kg lighter because of its mixed material construction of aluminium (48 per cent) and high-tech steels (52 per cent). In Europe, Volkswagen will initially offer two V6 diesel engines for the new 2018 Touareg with outputs of 170 kW / 231 PS and 210 kW / 286 PS. In a number of markets, this will also be followed by a V6 petrol engine (250 kW / 340 PS) and a V8 turbodiesel (310 kW / 421 PS). A new plug-in hybrid drive (270 kW / 367 PS of system power) is being prepared for China; its exact launch date in Europe is still open.